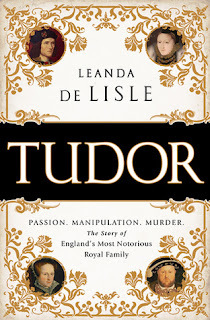 Leanda de Lisle has written what I consider to be a worthwhile (non-fiction) addition to the massive Tudor library. I picked this out as part of my "moving TBR" (that is, all the books that my old library has that my new library doesn't have) and, yeah, picking up such a doorstop while getting ready to move all during a two week window of time was a little intimidating. But, I did it. And I actually really enjoyed it. There was something almost cozy about reading through such a familiar story and I really appreciated how Leanda de Lisle added her own touches so it felt familiar but not boring. Her perspective and focus on Margaret Beaufort, Margaret Tudor, and Margaret Douglas was especially interesting. 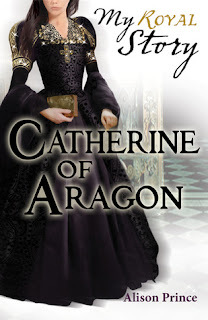 The way she presented their stories helped tie all the events from the Wars of the Roses, Henry VII, Henry III and the rest of the Tudors all together, helped fill in some narrative gaps, and gave more depth to the stories of the more major players. I gained a lot of new insight through this approach. I love that the author was more sympathetic toward Mary I, and I definitely got the feeling she was far more on the side of Catherine than Anne. And not overly fond of Elizabeth or Edward. She's also not a fan of Richard III, but not wholly in favor of Henry VII either and really not a fan of Henry VIII. So, biases definitely came through, but I wasn't turned off by them. 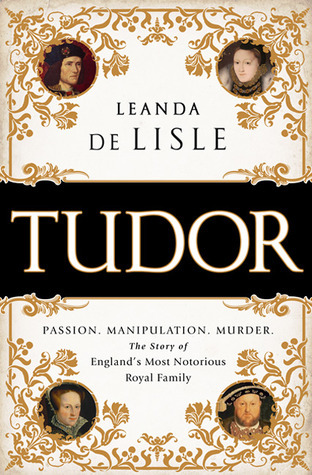 Tudor starts with Catherine of Valois' death and paces through the Wars of the Roses and then continues through to the death of Elizabeth I. It's detailed and follows the narrative timeline, but it doesn't delve into minute details. Very much recommended. I mean, it was fine. I guess. 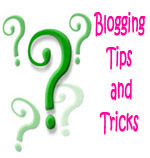 There's way too much effort focused on trying to be witty and write in a comedic bloggy kind of way and not enough effort focused on actually being funny or writing about history. The writing style wasn't bad enough to induce an eye-roll sprain, but it was close. It's reminiscent of bathroom books and has this smarmy blend of mocking superiority with a slangly attempt to appear casual and hip, while also being totally smart and stuff because this is, like, a history book. So, yeah, I wasn't in love with it. 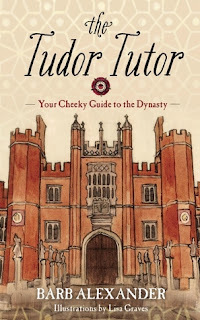 The Tudor Tutor also suffers from the "technically correct, but..." syndrome where the author writes something that's technically true, but they provide so little context, leave out vital information, and jump onto the next snippet so quickly that it leads the reader to draw an inaccurate understanding of what actually happened. 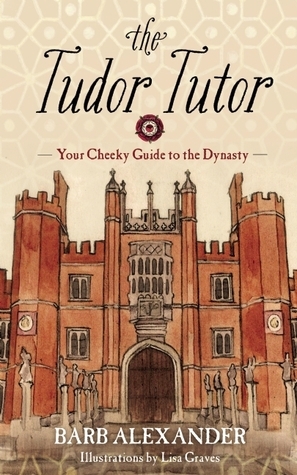 While the reader with more Tudor knowledge won't fall into that pitfall, there isn't much to this book for them. It's a bare-bones rundown of events that won't add much to the knowledge base of a reader whose sole familiarity with the family is through Jonathan Rhys Meyers' interpretation on Showtime's series. For the reader who hasn't even seen the show, well, this wouldn't be a terrible place to start, but there are far, far better out there. Ok, this wasn't nearly as bad as this author's book about the princes in the Tower. I get the feeling the author likes Catherine (she gave her strange focus in the other book, which really has nothing to do with Catherine). This is another book where the story is told through the eyes of a servant, but in this case it worked about as well as that device can work for me. The chapters were short, the story basic, but this was a solid addition and should be enjoyed by readers who like the Scholastic My Royal Diaries series and books like them. Recommended. Alexandra Bracken and I have a rocky relationship. 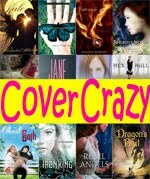 It started out with flailing love, fizzled with lukewarm disappointment, and sunk to the bottom of the ocean with a vow never to pick up another one of her books again. 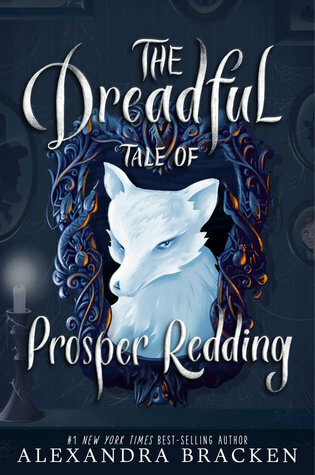 So why in the world was I reading The Dreadful Tale of Prosper Redding then? Well, because I'm a sucker for pretty things and when the publisher sent me an ARC in a pretty box with fall leaves, throwback Halloween candy, apple cider mix, and other goodies? Um, yeah, like I said, I'm a sucker. 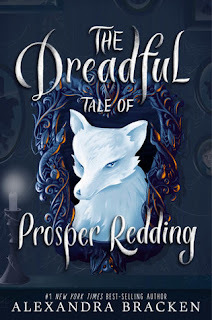 I'm glad my will is so weak and Disney decided to send me an ARC because, overall, I had a nice time with Prosper Redding. It's not a perfect book. It's actually pretty rough. 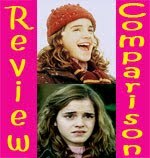 The pacing is off, the plot is tenuous, the characters are underdeveloped and pretty stock, and the main character felt like he couldn't decide if he was 12 or 17 years old (for the record, I would have preferred 17. It rang truer.). If I didn't know any better I'd think this was a debut. But all that said, I still just liked the book. It felt good, if that makes sense. It felt like a Disney Channel Original Movie. Kind of goofy, far from perfect, but light, airy, and fun. The atmosphere of the story evoked all the right fall feelings: crisp air, the silliness and creepiness of Halloween, sweater weather, and childhood bliss. Not much happened overall, and while there are a lot of pages in the book, this is very much just an introduction to the story. I suspect that when all is said and done, all the books in the series probably could be edited down into one book. So, will I read the sequel? Maybe. I'm not rushing out to get it, but if I came across it in the library or was sent a copy, I'd read it. If not? I don't know that I'd go out of my way to get it.